THANK YOU FOR SIGNING UP TO BECOME A PRE-ALPHA TESTER DURING OUR CLOSED PRE-ALPHA TEST OF CRAYTA. THIS IS A CLOSED TEST BECAUSE CRAYTA IS NOT YET AVAILABLE TO THE GENERAL PUBLIC. AS SUCH, USE OF CRAYTA IS CURRENTLY LIMITED BY INVITATION ONLY. CRAYTA IS NOT FULLY DEVELOPED AT THIS STAGE AND THE SECURITY OF CRAYTA IS UNDER ONGOING DEVELOPMENT. YOUR DATA AND PROGRESS ON THE PLATFORM / GAMES MAY BE LOST DURING THIS TESTING PERIOD. THE PURPOSE OF THIS TEST IS TO CHECK TECHNICAL ASPECTS OF CRAYTA, UNCOVER PROBLEMS, ERRORS AND BUGS AND CORRECT THEM WHILST WE EXPAND CRAYTA’S FUNCTIONALITY AND CONTENT AND IMPROVE THE OVERALL EXPERIENCE. THIS MEANS THAT FUNCTIONALITY, AVAILABILITY AND OTHER ASPECTS OF CRAYTA MAY ALSO CHANGE DURING THE COURSE OF THE TEST AND THAT THERE MAY BE ERRORS AND BUGS IN THE CURRENT VERSION OF CRAYTA. CRAYTA IS A GAME CREATION AND PUBLISHING PLATFORM WITH FEATURES INCLUDING, WITHOUT LIMITATION, DEVELOPMENT TOOLS FOR GAMES AND VIRTUAL ASSETS AND A MARKETPLACE TO VIEW AND DOWNLOAD GAMES. THIS END USER LICENSE AGREEMENT (“EULA”) APPLIES TO AND GOVERNS ALL USE OF CRAYTA (BOTH BY GAME AND VIRTUAL ASSET CREATORS, GAME PLAYERS AND BY ALL OTHER USERS OF CRAYTA) AND ALL TOOLS, SERVICES AND CONTENT MADE AVAILABLE ON OR THROUGH CRAYTA (THE “PLATFORM”). PLEASE READ THE FOLLOWING CAREFULLY BEFORE USING, DEVELOPING WITH, DOWNLOADING FROM, INSTALLING FROM OR OTHERWISE IN ANY WAY USING THE PLATFORM. BY USING THE PLATFORM YOU ARE AGREEING TO BE BOUND BY AND BECOME A PARTY TO THIS EULA. IF YOU DO NOT AGREE WITH THE TERMS OF THIS EULA, YOU MAY NOT USE THE PLATFORM IN ANY WAY. THIS EULA CONSTITUTES THE ENTIRE AGREEMENT BETWEEN UNIT 2 GAMES AND YOU IN RESPECT OF THE PLATFORM. Crayta is owned by Unit 2 Games. References to the “Platform” include without limitation all the software and materials that are made available by Unit 2 Games in order for you to use the Platform, any Created Content and any Virtual Items (defined below). The Platform comprises copyright works of Unit 2 Games and/or its licensors (except for the Created Content). The Platform is licensed, not sold, to you for your use in accordance with the terms and conditions of this EULA. Your license confers no title or ownership in the Platform (without prejudice to the terms of this EULA in relation to your Created Content). Any use, reproduction or redistribution of the Platform not in accordance with the terms of this EULA is expressly prohibited. Unit 2 Games does not target the Platform to users under 13 years of age. To use the Platform you must be over the age of 13 years. By using the Platform you therefore confirm that you are over 13 years of age and, where you are between the ages of 13 and 17, you confirm that you have your parent’s or guardian’s consent (and that your parent or guardian has read and agreed to these terms). Unit 2 Games hereby grants a limited, non-exclusive right and license to you for you to use the Platform for your personal, non-commercial use only (including to create or upload content and communicate with other users) on compatible devices that are owned by you, subject to the terms and conditions of this EULA. Except for your rights in your Created Content (as defined in and in accordance with clause 5), your use of the Platform does not give you any rights of ownership in any property whether tangible or intangible (including without limitation in any Virtual Item). Where the Platform allows you to, this licence includes the right to use the Platform to communicate with other users of that Platform. Notwithstanding the above clause, we are happy for you to make videos and for you to take screenshots. You can post these online if you like and we're also happy for you to make money by doing so, as long as you abide by the terms of this EULA. use the Platform for any illegal or immoral purposes. Except for the Created Content, all right, title, interest and ownership rights in the Platform and any copyright, design right, database right, patents and any rights to inventions, know-how, trade and business names, trade secrets and trade marks (whether registered or unregistered) and any applications therefor and other intellectual property rights, in or connected with the Platform and each part thereof (including by way of example only any titles, code, themes, objects, concepts, artworks, animations, audio-visual effects and methods of operation) and any copies, translations, modifications, adaptations and any other derivative based on the Platform are owned by, belong to and vest in Unit 2 Games or its licensors. The Platform may contain certain licensed materials. All trade marks are the property of their respective owners. The Platform is intended for the creation and/or upload of content, including without limitation for the development of videogames (“Created Content”). In the course of providing the Platform, we will transmit, store, host, retrieve, format and/or translate your and other Created Content without selection or alteration of the content and whilst acting as a mere conduit. We may use filtering technologies to detect and remove content which contains, for example, swearing or offensive content. You grant us an unrestricted, perpetual, transferable, worldwide, royalty-free, non-exclusive, sub-licensable right and licence to use, exploit and make available any of your Created Content in any manner or media including without limitation on the Platform and, additionally, to use such Created Content for or in connection with the promotion, advertising or publicity of the Platform. You agree and accept that Unit 2 Games has no responsibility to review any Created Content and no responsibility to exercise any control or judgement over any material or content posted or contained in Created Content. Views that may be expressed in any Created Content are the views of the individual authors and Unit 2 Games is not responsible for and disclaims all liability in respect of any views, comments or remarks expressed in Created Content. Unit 2 Games gives no warranty and makes no representation as to the accuracy, currency or validity of the Created Content or any information or material contained therein and shall not be responsible for any loss or damage of any kind caused as a result or in connection with such Created Content, information or materials therein. There are no conflicting agreements in place that restrict the use of the Created Content by us or other users of the Platform in accordance with the terms of this EULA. You further agree that in any activity undertaken following use of and related to your use of the Platform you will not in any way conduct yourself in a manner which is unlawful or which gives rise to civil or criminal liability or which might call into disrepute the Platform or Unit 2 Games. Unit 2 Games shall be entitled to remove, restrict, suspend or alter any user account and any Created Content (including the ability to share or create Created Content and to post public messages or message other users) for any reason in its sole and absolute discretion including because the use or Created Content might be unacceptable in the opinion of Unit 2 Games (including, without limitation, hacking, cheating, abusing other players, being offensive, reverse engineering the Platform or any Created Content, connecting to the servers outside of the Platform client or impersonating other players). This EULA and the licence granted by it are effective until terminated. Unit 2 Games may terminate this EULA if you fail to abide by any of the terms and conditions of this EULA at any time or for any reason or if we reasonably suspect that you have failed to abide by any of the terms and conditions of this EULA. Unit 2 Games may take any action it deems reasonable in its sole discretion against users who do not comply with the terms of this EULA, which may include banning users from any of the Platform. Unit 2 Games reserves the right to determine what conduct it considers to be in violation of, or otherwise outside the intent or spirit of, this EULA and/or the Platform. However, if what you have done can be put right we will give you a reasonable opportunity to do so. Following termination, you will no longer be permitted to use the Platform. THE CURRENT VERSION OF CRAYTA IS THE PRE-ALPHA VERSION ONLY, INTENDED FOR ONGOING TESTING AND DEVELOPMENT. UNIT 2 GAMES WARRANTS THAT IT HAS USED AND WILL USE REASONABLE EFFORTS TO ENSURE THAT IT IS ENTITLED TO GRANT THE RIGHTS AND LICENCES GRANTED HEREUNDER. YOU USE THE PLATFORM AND ANY CREATED CONTENT AT YOUR OWN RISK. This EULA and any dispute or claim arising out of or in connection with it or its subject matter or formation shall be governed by and construed in accordance with the laws of England and Wales and the Courts of England and Wales shall have exclusive jurisdiction to settle any dispute or claim arising out of or in connection with it or its subject matter or formation. As part of and to enhance your use and enjoyment of the Platform you may be able to obtain additional features that form part of the experience of the Platform (“Virtual Items”). Virtual Items are purely a feature of the Platform and have no cash or real world value, they are not redeemable or exchangeable for anything with a real world value and they can be used as part of the Platform only, in accordance with this EULA. Unit 2 Games may manage, vary, regulate, control, modify or eliminate Virtual Items in its sole discretion, with or without notice (including not supplying Virtual Items if it is reasonable to do so). Unit 2 Games shall have no liability to you or any third party in the event that Unit 2 Games exercises such rights. The Platform uses Unreal Engine 4. Unit 2 Games is required by Epic Games, Inc. to notify you of and obtain your compliance with the End User License Agreement applicable to use of Unreal Engine 4. You acknowledge that this EULA for the Platform is an agreement between you and Unit 2 Games only and not Epic Games, Inc. Without prejudice to the foregoing, you are required to have a separate license with Epic Games, Inc. and you agree to comply with the End User License Agreement of Epic Games, Inc. as may be updated from time to time and made available at: https://www.unrealengine.com/. The Platform uses the Discord services of Discord Inc. and a Discord account is required for your use of the Platform. 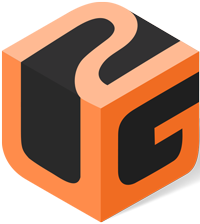 Unit 2 Games uses Discord including without limitation for Platform login, account creation and authentication purposes. You acknowledge that a separate agreement exists between you and Discord Inc. in relation to your use of Discord, including without limitation for the purposes of your use of Discord for or in connection with the Platform, on the Discord Terms of Service as may be updated from time to time and made available at: https://discordapp.com/terms. You hereby indemnify (agree to compensate), defend and hold harmless Unit 2 Games and Unit 2 Games’s affiliates, officers, directors, owners, licensors, service providers, partners, contractors, employees, agents and licensees (collectively, the "Indemnified Parties") from and against any and all any liabilities, claims, costs and expenses (including without limitation legal expenses and lawyers’ fees) incurred by the Indemnified Parties for or in connection with any of the following: (i) any claim arising out of any breach by you of this EULA or claims arising directly or indirectly from your use or misuse of the Platform (which includes without limitation Virtual Items); (ii) any negligent or improper use of your device, password and username to the Platform; (iii) any breach or alleged breach of third party rights including without limitation the intellectual property or privacy rights of a third party; and (iv) any use of the Platform otherwise than in accordance with the terms of this EULA. You shall fully cooperate with Unit 2 Games in the defence of any such claim and Unit 2 Games reserves the right, at our own expense, to assume the exclusive defence and control of any matter otherwise subject to indemnification by you. You further agree that the subject matter of this EULA is of a unique character with special value and that Unit 2 Games would be irreparably damaged if the terms of this EULA were not specifically enforced, and therefore you agree that Unit 2 Games shall be entitled, without bond, other security, or proof of damages, to appropriate equitable remedies (including injunctive relief) with respect to breaches of this EULA, in addition to such other remedies as Unit 2 Games may otherwise have available to it under applicable laws. Unit 2 Games' licensors shall be third party beneficiaries under this EULA and shall have the express right to enforce its provisions and to enjoy the benefits of its protections. We may change some terms of, or provide a new version of, this EULA from time to time. In such case we will notify you of the changes or new EULA. If necessary we may require you to agree to the new or updated EULA.